Kirubel Melke creates bold and intuitive works from textiles that comment on themes such as education, youth unemployment and the relationship between tradition and modernity. These issues affect millions of people and the future generation, but the mainstream media remain silent. 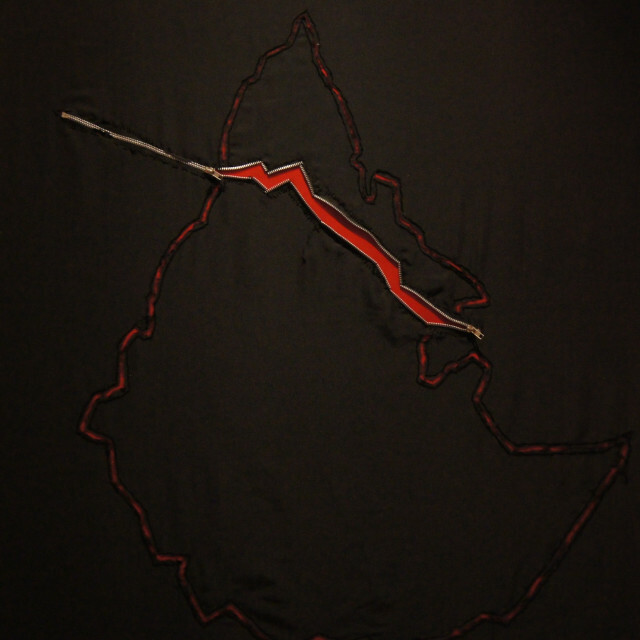 His current work uses pockets to represent individuals’ time, knowledge and wealth. This common, but unnoticed part of our clothing carries evidence of our daily interactions and personal history. Melke has exhibited internationally. He recently exhibited as part of ‘Ethiopia Today’ at Kunststation Kleinsassen in Germany. In 2016, he had a solo exhibition at the National Museum of Ethiopia. His work is in private collections in Europe and Africa. In November 2017, his work was featured in the PIASA Auction of Contemporary African Art and Design in Paris, France.